Omar Arcia graduated with honors from Florida State University in Tallahassee, Florida with a degree in Psychology. Mr. Arcia then attended Florida State University Law School, from which he graduated in 1995, and where he proudly served as President of the Spanish American Law Students Association, was selected to be a member of the Florida State University Law Review as well as the Journal of Transnational Law and Policy. Mr. Arcia had scholarly articles published in both of these law journals. Mr. Arcia was also selected to the Moot Court Trial Team for his law school. Immediately after graduation, Mr. Arcia was employed by a business litigation firm in Miami, where he handled complex business litigation matters for five years. Mr. Arcia attended trials on these matters in State and Federal Courts throughout the United States. Mr. Arcia has been admitted to several federal jurisdictions across the country. 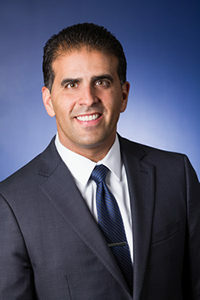 In September 2000, Mr. Arcia opened his own law firm in Coral Gables, Florida where he handled legal matters ranging from personal injury, real estate, family and business disputes. Mr. Arcia handles litigation matters on behalf of Gus Suarez, P.A. – The Health+Business Law Group.